Following on from the success of Tea with Puccini and Tea with Mozart at the Savoy, Monmouth, in spring this year, Tea with Jane Eyre is to have its premiere at Part-y-seal, Grosmont, on Sunday 13th July at 3pm. The celebrated venue takes a literary turn as Fred & Jeanette and the cast of Tea with Jane Eyre invite you to join them and one of the great figures of English literature, Jane Eyre, for tea. Tea with Jane Eyre investigates who, if anyone, Mr Rochester was that so beguiled the Victorians. 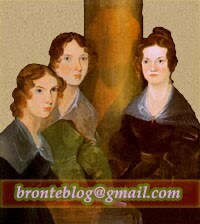 Rumour has it that Charlotte fell in love with a married man, and resolved the impossibility of the situation by writing Jane Eyre, in which the wife conveniently throws herself off the battlements in a fit of madness. Much of this compelling, soul-wrenching and heart-warming tale is known to be biographical, but how much? Come and make your own mind up, have some delicious tea and be delighted by the Bronte myth, poetry and music in one afternoon. The proceeds of the concert will go to St Nicholas church (who have kindly provided chairs for the concert), to Help Musicians UK (a charity that gives financial assistance to disabled musicians) and to the Equart project, which gives talented blind opera singers assistive technology to enable them to perform on stage professionally.